This queen bedroom faces south and looks across the gorgeous sun-drenched fields and the maple lined drive. The old wide board floor is original to the house. 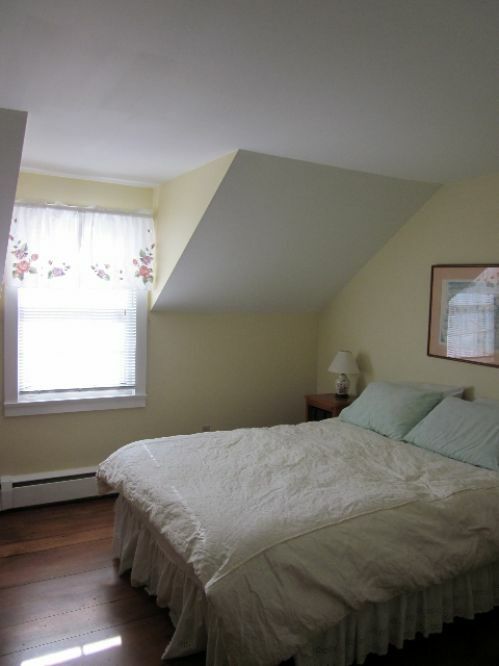 This bedroom shares the upstairs bathroom.